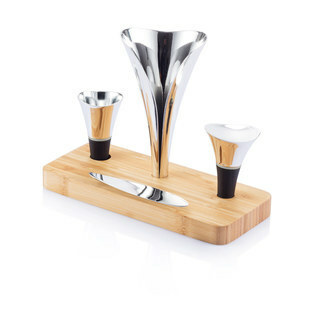 5 piece deluxe wine set includes: Wine funnel, opener, stopper, pourer and bamboo tray. Registered Design® Supplied in retail packaging. MOQ: 96. Delivery: 4-6 weeks.